In the past, ladies’ sportswear advertisements have featured women engaging in some yoga or maybe a light jog. We never get to see sweat. We never get to see true, unrestrained emotion. 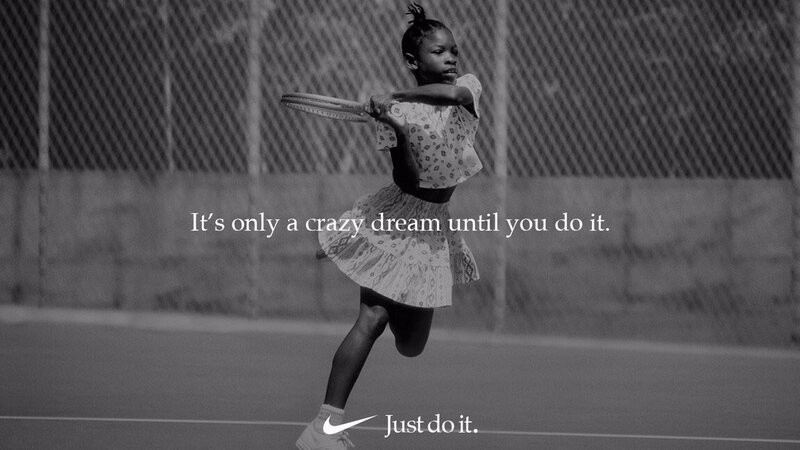 Nike’s new Dream Crazier advertisement is 90-seconds of raw determination and empowerment. We get to see blood, sweat and tears. The advertisement is a response to the flagrant gender bias that exists in our society to this day. Serena Williams provides the narration for the piece, while a number of successful female athletes appear throughout. Gymnast Simone Biles, fencer Ibtihaj Muhammad, the US women’s national soccer team and Kathrine Switzer, the first woman to run the Boston marathon, are featured expressing their emotions authentically and honestly. Serena Williams is no stranger to adversity. While competing for her 24th Grand Slam title, Williams received three code violations, which led to a controversial loss. After calling out the umpire, Williams faced huge amounts of backlash. During the French Open, she wore a catsuit to help compress and ease her blood clots. This catsuit was subsequently banned entirely, and Serena was said to have “gone too far.” She was also scorned for having the drive to get back to competing not long after giving birth. What man has faced this reaction? Ambition does not equate insanity. Expressing emotion as a female should not be looked upon as a sign of weakness or hysteria. The belief that an angry reaction to a disappointment is a trait associated with men alone is a disservice to both sides. Men are not inherently angry. Women are not inherently poised. Human beings cannot be confined to boxes based on something as trivial as gender. This kind of divisive branding achieves so much in modern day society. When a brand as big as Nike or Gillette decide to use their platform to initiate change and spark a conversation, people begin to reflect on themselves. Utilising social justice movements in branding strategies may sound like a pandering technique to get more people on side, but it is so much more than that. The video then turns to the past. It was crazy for a woman to run a marathon. It was crazy for a woman to coach an NBA team. It was crazy for a woman to compete in a hijab. Look at how far we’ve come.